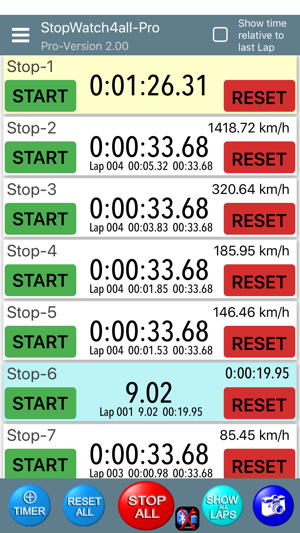 This app works as a stopwatch and timer, and can therefore be used for any sport. The number of visible stopwatches depends on the current height of the display. There can be started multiple stopwatches and timers - the number is only limited by memory. The timers can be started individually and simultaneously. All timer and countdown-timer are also running in the background, ie when the app is minimized, the sound / beep also be played. 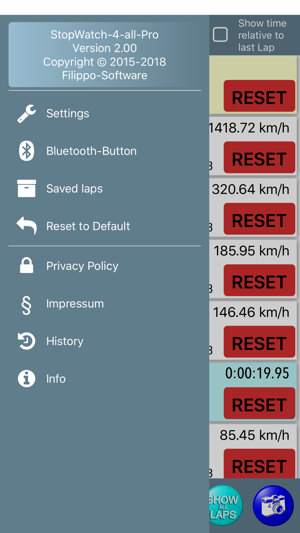 Each stopwatch can be turned into a timer. Simply select the desired timer (white area) and enter the time. To switch to the timer, simply put the time back to zero. The volume level can be managed independently from the device setting. 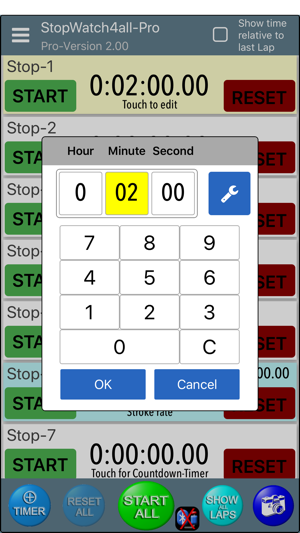 * The number and names of the stopwatch will be restored during a restart of the app. * Timer for swimmers (function to calculate the stroke rate). * It can be created photo. The photo can be used by users, for example at racing events, as evidence. * An external bluetooth-device can be used with the possibility to connect up to 8 buttons. These buttons take the function from the app-button "Lap" from the first till eighth timer. The device can be ordered by me - price and more information here: www.filippo-software.de. * In each timer can be set a beep before the last "X" seconds. The number of "X" beep can be adjusted. * The time of the round, depends on the setting, shown in km/h or min/km. * The list can be displayed in tables or as a text. * By "Share" you can send or save the list - for later if you want. 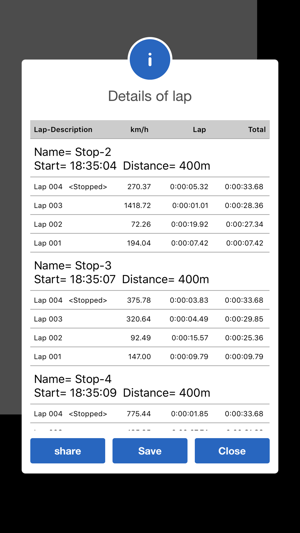 * In each stopwatch can record only up to 3 laps. * When opening advertising appears. * For each timer, apart from the text, an image can also be set.